Valentine's Day is just around the corner. Two days away to be exact, so we had a little bit of a Valentine's Day reading marathon in our house tonight before bed. Here are a few of our favorites. 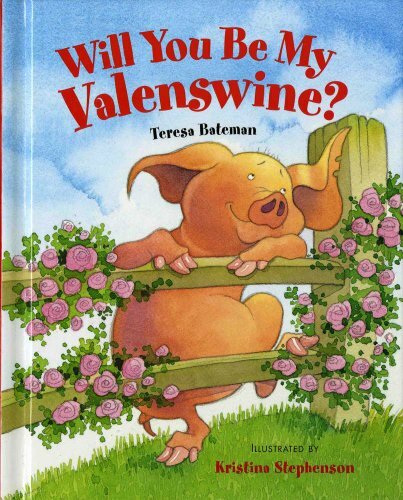 1) Will You Be My Valenswine? written by Teresa Bateman and illustrated by Kristina Stephenson. Poor little Polly searches high and low for a Valenswine to call her own. Little does she know her very own Valenswine is right under her nose. Written in rhyme and a very sweet read. My four year old son figured out who her Valenswine would be about halfway through. See if you can figure it out too. 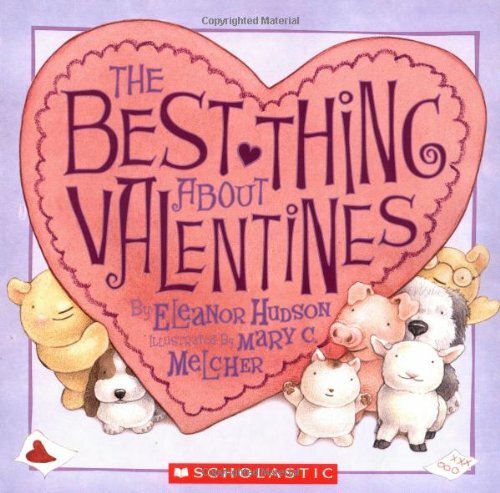 2) The Best Thing About Valentines written by Eleanor Hudson and illustrated by Mary C. Melcher. Another book full of rhymes, this is a great short read for your littlest loves. It would be a great book to read before making Valentine cards to hand out to friends or family. 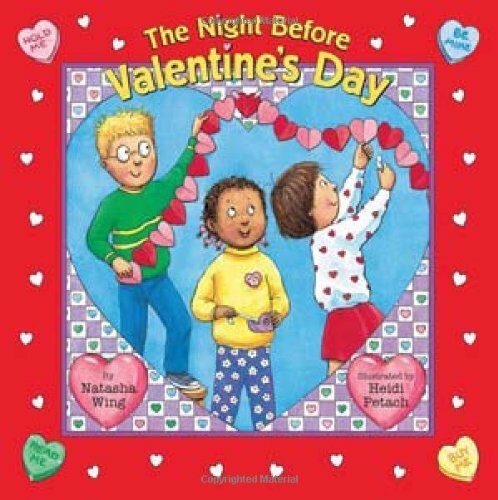 3) The Night Before Valentine's Day written by Natasha Wing and illustrated by Heidi Petach. Another rhyming book, I promise they aren't all rhyming books, that follows the Night Before Christmas pattern with a fun story about children getting ready to celebrate Valentine's Day at school. My kindergarten students love these stories for each holiday and the beginning of school. 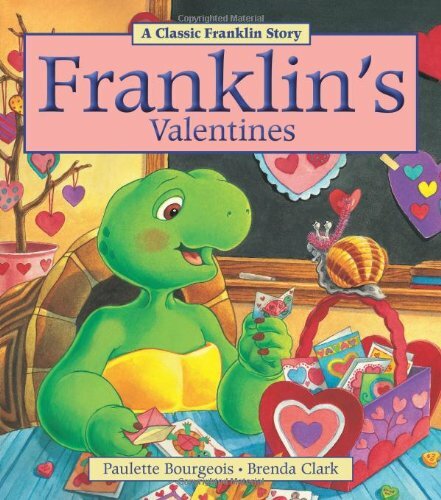 4) Franklin's Valentines written by Paulette Bourgeois and illustrated by Brenda Clark. Franklin takes his time and makes thoughtful Valentines for all of his friends at school only to have them fall out of his backpack on the way to the bus. Oops! My son spotted the problem right away. Franklin, of course, was very upset to have lost his Valentines and was worried that his friends might not want to exchange Valentines with him if he didn't have any to give. This story has a great message about giving to friends. Your little one will love how Franklin responds to his friends' kindness. 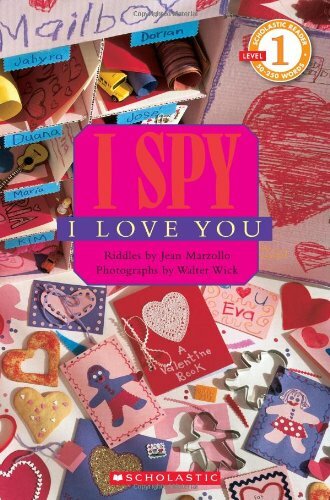 5) I Spy I Love You riddles by Jean Marzollo and photographs by Walter Wick. If your child loves I Spy as much as my little ones do, then they are in for a treat. I will say this one has some tricky hidden images to find, even my grown up eyes had to do some serious searching. But there is a good mixture of easy and more challenging objects to find. My two year old daughter just likes to point out things that she knows in the pictures, while my son will search for minutes until he finds what he's hunting for. I especially like the letter and rhyming riddles at the end of the book. 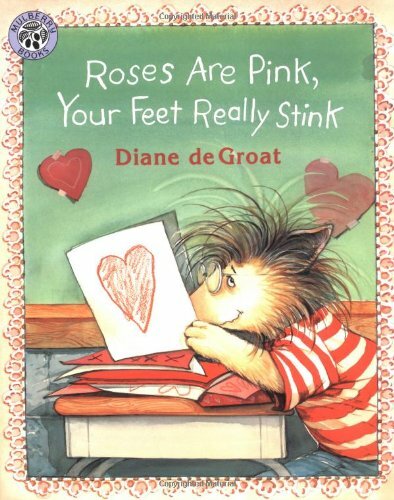 6) Roses Are Pink, Your Feet Really Stink by Diane de Groat. I saved my favorite for last. I LOVE Diane de Groat! I especially love her series about Gilbert the opossum. In this story Gilbert must write Valentine's for each of his classmates, but chooses to write some not so nice ones to the students in his class who have previously wronged him. Find out what happens when his friends find out he wrote unkind things. I hope you enjoy some great books with the one's you love this Valentine's Day. I'd love for you to share your favorite books about love in the comments below!